How do you play the Magic Eight Ball Game? The Magic 8 Ball game is FREE and very easy to play. While you once had to shake the plastic magic 8 ball toy vigorously to see your answer, when you play the magic 8 ball game online all you have to do is "click" to see your prediction. Ask any questions about your future love life or finances to see how it works for yourself! Are the Predictions of the Free Magic 8 Ball Fortune Teller Accurate? Are the Magic Eight Ball's answers accurate? 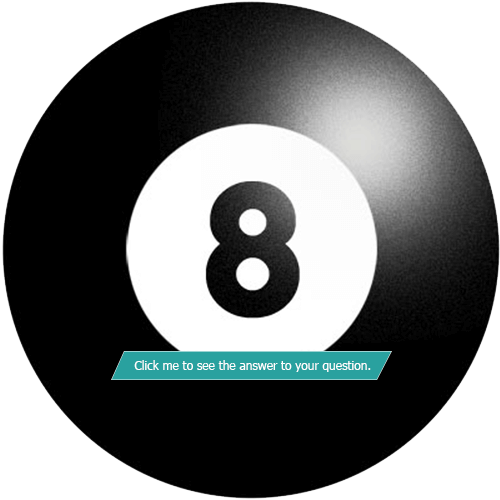 While the predictions made by the virtual Magic 8 Ball appear to be random and just an odds game, it is difficult to determine just how random the results are. If you are truly interested in receiving an accurate answer to your question, concentrate very carefully on your question and ask it only once. It is widely believed that the accuracy of the predictions of the Magic 8 Ball decreases if the same question is asked repeatedly by those who for personal reasons cannot accept the accuracy of the response. The first prediction is always the most accurate, so don't waste time lying to yourself if the Magic 8 Ball confirms your fears that your boyfriend is cheating on you. Crystal Balls, Ouija, Tarot Cards, Horoscopes, Tea leaves, Psychic Hotlines... Why not a Magic 8 Ball? When you are looking for the most accurate predictions of the future, who can you trust? Fortune tellers and psychics are sometimes inaccurate or untruthful and prone to human error. The predictions offered by tarot cards, horoscopes, psychics or fortune tellers who look deep into crystal balls are no more accurate than the answers you will receive from the spirit and oracle of the Magic Ball. If you are looking for the most accurate online Magic 8 ball, than this is the game for you. You really shouldn't trust those online Magic 8 Balls built with Flash, either. How can you believe in the accuracy of psychic predictions that won't even render on a mobile device? What are the origins and history of the magic eight ball? What is the meaning behind the magic 8 ball? 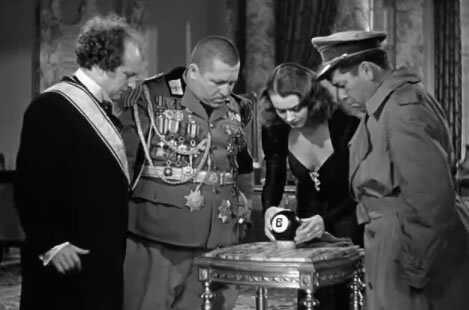 Although widely known today as a mass manufactured plastic children's toy sold by Mattel, the concept of a fortune telling psychic magic eight pool or billiards ball first appeared in the Three Stooges movie You Nazty Spy in 1940, when it was referred to as a "magic ball." That movie may have been a slapstick comedy, but the Magic Eight Ball has since become a credible fortune-telling device in many eyes. What is the meaning of Legomenon?